Dori’s Music Studio is a rental location for Music and Arts Center, a long established, nation wide supplier of musical instruments. We have a dedicated Music and Arts Center representative, which insures the best possible service for our customers. We offer the option to do your rental contract on-line. 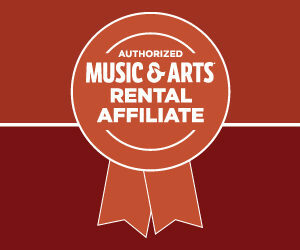 You can start the on-line rental process here and pick up the instrument from our studio in Spencerport. Dori’s also carries instrument supplies, reeds, lesson books, name tags for cases, and stands. We recommend purchasing these items from the studio as Music and Arts has to ship them to us and this can take longer than the instruments take to arrive. The studio accepts cash or check for purchases made in the store. The Customer has two different options when thinking about band and string instruments (more details are below). Please call to see what we have in stock and make an appointment to purchase your instrument During rental season (start of the school year), the stock changes daily and we may have a cheaper instrument than what is listed below. Prices are subject to change without notification from Music and Arts Center. LDW is short for Loss Damage Waiver and is offered on all band and string instruments. LDW cancels any further responsibility to the instrument if it is lost or stolen due to burglary or fire. It also covers all repairs to the instrument except for consumable items on the instrument.